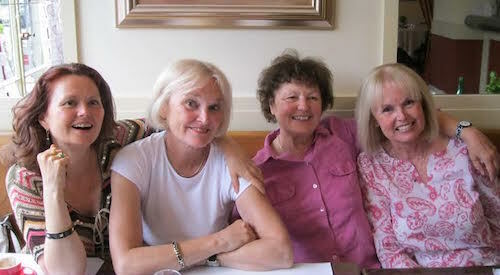 The grand-daughters of Charles B. Purdom include, from left: Nicole de Pourtales, Geneva; Antoinette de Pourtales, France; Vanessa Soloiz, Geneva; and Michele Norberg, Virginia, USA. The sisters are daughters of Barbara, Charles and Antonia's only daughter. Two other grand-daughters, Lilan and Marina, who are daughters of Purdom son Edmund, live in France. 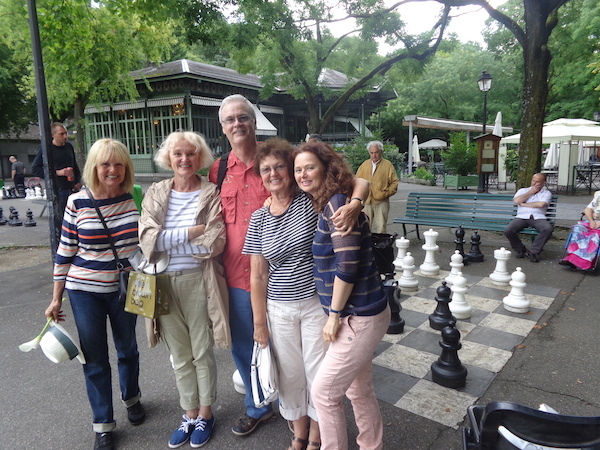 Divine Drama author Bob Mossman with Charles Purdom's grand-daughters in Geneva 2014. New Film! This movie was created for the celebration of Charles B. Purdom's life, held in Welwyn Garden City, UK, on September 19, 2015. Video of Charles Purdom interviewing Meher Baba in 1932. 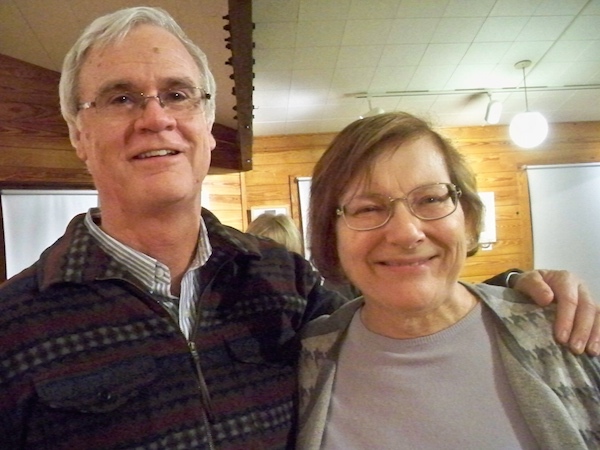 William Donkin's niece, Bridgt Barry, is shown with the author at the opening of her Uncle William's exhibit of watercolour paintings at the Meher Spiritual Center in Myrtle Beach, SC, in the Spring of 2013. Bridget, who is the youngest daughter of William's twin sister Mary, lives with her husband, David, in Missouri, USA. 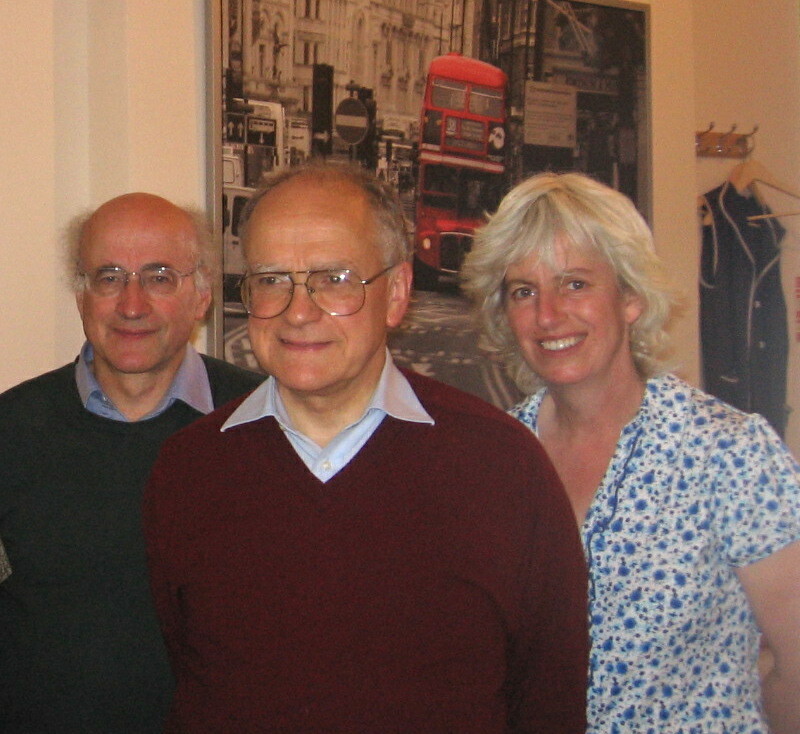 From the left: Charles Donkin and Richard Donkin, William's nephews, and Charles' wife Caroline. Richard and Charles are the sons of John Donkin, William's older brother. The author of Slave of Love met with Richard, Charles, and Caroline while in London in the Fall of 2010. This 1938 film shows 26-year-old William Donkin at the family Winterfold estate in Surrey, playing with the family dogs, The family, including William's father Sydney Bryan, are also shown getting the tennis court ready for play. In the final sequence William enjoys some hijinks on a rope ladder with his twin sister Mary and a cousin. William was in his final year of medical school at the time - a year before his departure to India. The film clip below features a talk by author Bob Mossman on writing the book - Slave of Love. Sheriar Books hosted the talk and book-signing event at North Myrtle Beach, South Carolina, on February 23, 2013.